(PRLEAP.COM) Effervescence, America's leading epicurean event centered solely around Champagne and sparkling wines, is coming back to Los Angeles May 3-5, 2019. The three-day festival will kick off on May 3rd with a once-in-a-lifetime dinner hosted by Krug and will pour into the weekend with grand tastings featuring top Champagnes and sparkling wines from around the world, and master classes taught by leading experts. An exclusive gala dinner at Jar and a sparkling wine brunch for collectors, winemakers, and enthusiasts will be hosted by celebrity chef, Nancy Silverton. Tickets for individual events will be available beginning March 1st, at www.effervescencela.com. Hosted at The Line Hotel, located at 3515 Wilshire Blvd. in LA's trendy Koreatown district, the walk-around Grand Champagne Tasting will offer guests an opportunity to taste and converse with the winemakers, owners, and brand ambassadors from renowned Champagne houses. Master classes will be led by Champagne experts, focusing on the terroirs of Champagne. $250 per person. Renown female chefs Nancy Silverton, the first woman to win the James Beard Foundation's Outstanding Chef Award, along with her dear friend, Chef Suzanne Tracht, owner of Jar restaurant, will host this year's not-to-be-missed Effervescence LA Gala Dinner. Winemakers will bring their own special bottles of Champagne and sparkling wines to share over the course of this special and intimate dinner. Diners are encouraged to bring a favorite bottle to share. Jar is located at 8225 Beverly Blvd. in Los Angeles. $500 per person. The idea for Effervescence was inspired by Olivier Krug, a sixth-generation member of the Krug family and director of the Champagne house. 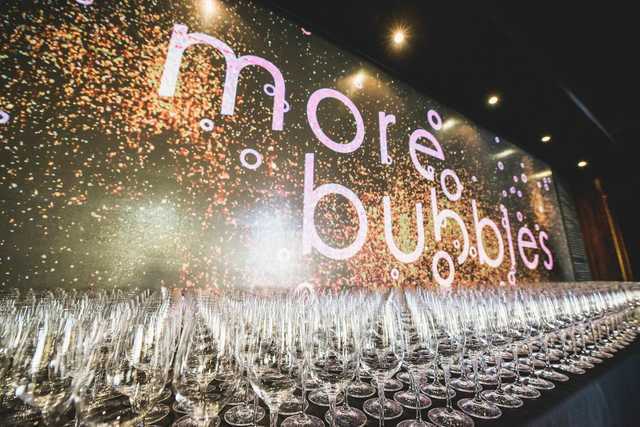 "Olivier was visiting Los Angeles and was so impressed with our city's culinary diversity and thirst for bubbles that he suggested we hold an event to celebrate both. Because of his enthusiasm, we decided to pop the cork on this festival in a big way and are thrilled for what the 2nd annual event will bring," says Dan Perrelli, founder of Effervescence and owner of First the Wine, a Los Angeles wine shop.